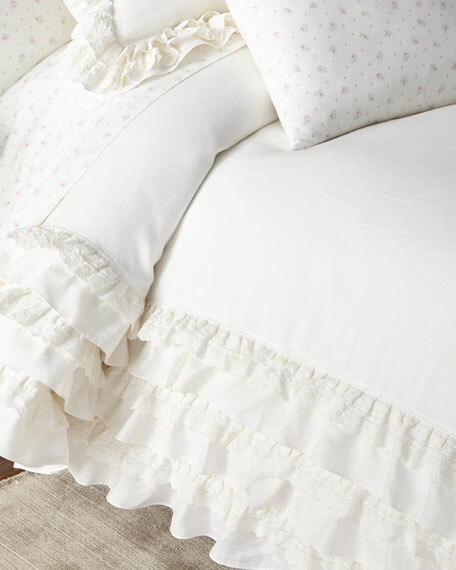 The soft white ruffles of the Rachel Ashwell Petticoat White Bedding Collection bring an air of romance to any bedroom. This 100% linen set features a 100% cotton, 4" lace edge for a delicate yet decadent finish. The duvet has a zip closure and the European Sham has a button back closure. Linen duet cover with cotton lace detail.